Vote for me on Biggest Baddest Bucket List! I paused in April on a footpath in Hampshire, England. It was during a hike from Warnford to Meonstoke on the leg of the South Downs Way National Trail system that connects the two towns. I had traced my English ancestors back to sixteenth century Meonstoke and decided to make the main character of a novel I am writing come from there as well. I figured one day I would travel there and this way I could kill two birds with one stone by researching for both my family history and the novel when I did. By the time I booked my trip, there were no rooms available at Meonstoke’s sixteenth century Buck’s Head Inn. 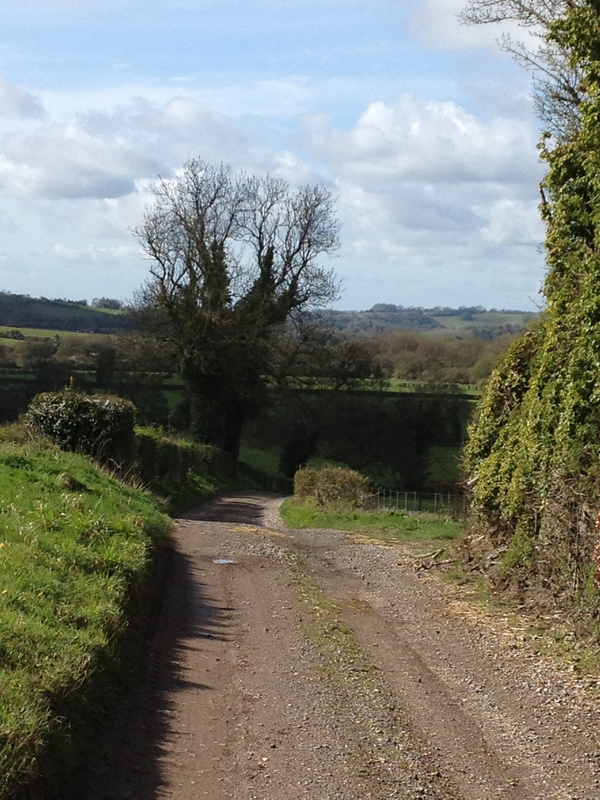 I needed to see Meonstoke so my only other alternative was to stay in nearby Warnford and hike there. The day was a mixture of foreboding skies and bursts of brilliant sunshine. That moment, which I captured in one of the pictures I’ve attached, was thus far the best moment in my life. It was in that instant that everything clicked, in that instant I knew there was an infinite universe and I was connected through the gentle country breeze that caressed the skin on my face, I was connected to the freshly fallen spring rain and the green foliage coming to life around me. It was as if everything that had happened in my life up to that point, happened for the purpose of that moment. I had the distinct feeling that I belonged there and that I had been there before although I had not. I go back there in my mind frequently. It was six hours in an English forest, all by myself, never have I felt so connected. This entry was posted in american authors, documentary, History, mfa, Travel, writer, writing and tagged A.M. Cannon, Anne Marie Cannon, biggest baddest bucket list, England, footpath, Hampshire, hiking, National Trail, Portsmouth, South Downs Way, travel destination, travel video blog, travel writing, vacation, winchester, writer. Bookmark the permalink.